Testosterone Levels And Tiredness: What Is The Relationship? Low testosterone levels and tiredness have a direct correlation. Studies throughout the years have all proven that when low T occurs, it can rob a body of energy and fill it with tiredness, fatigue and lethargy. The Journal of Clinical Endocrinology and Metabolism conducted a plethora of studies. They all concurred that testosterone replacement therapy (TRT), which replaces lost hormone as it depletes from the body, can bring about heightened energy, good feelings, better mood, less irritability, less mood swings and a friendlier demeanor. The American Journal of Psychiatry published articles relating to testosterone and tiredness caused indirectly by depression. When a man becomes deficient in testosterone, one of the more common symptoms is depression, according to the experts. With depression comes tiredness and fatigue. A person usually does not want to get up and out of the house. He will usually not want to participate in activities. He will often withdraw from the world and from those who care for him. Low T can cause problems in social and personal relationships and lack of production at work as well. Low testosterone and tiredness are directly and indirectly related. Low T can cause tiredness directly. Depression, lack of sleep, irritability and stress are low T symptoms that can indirectly cause tiredness. When it comes to testosterone replacement and tiredness, the American Journal of Psychiatry concluded that TRT can produce anti-depressant effects with bio-identical injections that are real and natural. This will eliminate the need to take chemically filled medications that may or may not work to decrease depression. Anti-depressant pills can also create major negative side effects that can make things worse. It often takes much trial and error when trying to find the right anti-depressant medication or combination of medications to help with depression. TRT is simpler and gets to the core issue right away. The article also discussed that depression in men with low testosterone levels is way under-recognized and under-diagnosed. 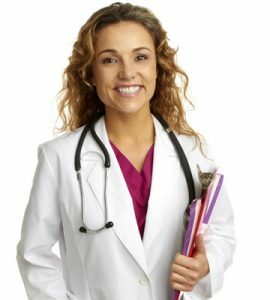 Raising a man’s levels of testosterone for tiredness has been proven to be a successful kind of therapy called TRT for those with low T. A patient must be diagnosed with a testosterone deficiency before he or she can get a legal prescription for just the right bio-identical injectable (a cream or gel for women) medication and dosage. The conclusion of a study done with frail older men was published in the Journal of Endocrinology and Metabolism. It showed that TRT helped to increase strength, energy levels and overall quality of life in just six months of time. Testosterone replacement therapy can help to decrease tiredness and increase energy, stamina, vigor and vitality to a man’s life. All of these issues can cause tiredness and a lack of motivation to do just about anything. Studies have continually proven that TRT can reduce the symptoms and improve quality of life. Left untreated, low testosterone and chronic fatigue can ensue. One can cause the other and only get worse if not taken care of by increasing testosterone levels and balancing them out with prescribed and medically monitored TRT. Can High Or Low Testosterone Cause Tiredness? Low testosterone and tiredness can occur when a man has unbalanced levels of this highly vital hormone; however, it is rare to have high testosterone and tiredness. High testosterone levels have caused high adrenal functioning, according to the experts, more aggressive behavior, more hair on the body and a deeper and lower voice. There is a lot more research in the literature regarding low testosterone and tiredness than high testosterone and tiredness, but again, keeping balanced levels of this hormone is how one will feel their best. When testosterone levels naturally fall; however, TRT can help to bring them up. TRT will balance hormones and keep tiredness and lethargy from occurring. 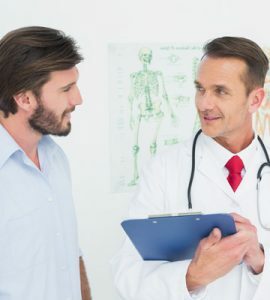 To find out if you are dealing with testosterone and tiredness due to the condition of low T, fill out our CONTACT FORM and we will connect with you as soon as possible according to your schedule. You can also call us toll free for your first consultation during normal business hours. We are here to help you change your life for the better.